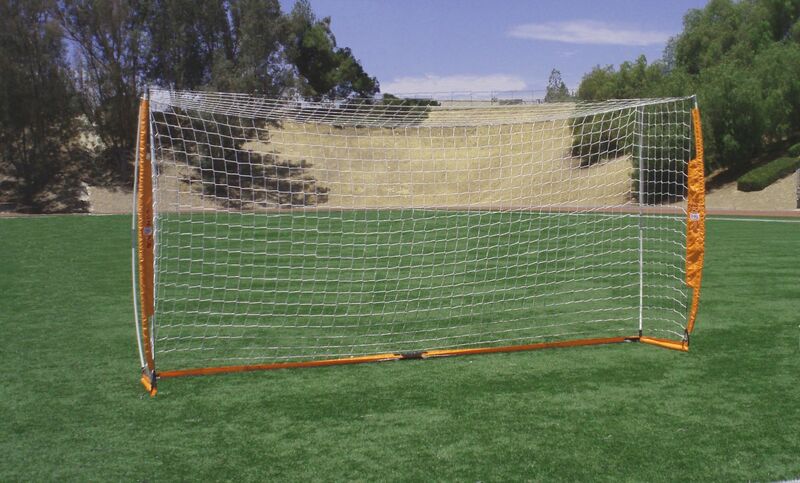 Whether it's the parking lot, the city park, the soccer field, the football field, the indoor court, or your own backyard.... wherever you play soccer, you'll be glad you have the 7 x 14 portable soccer goal. 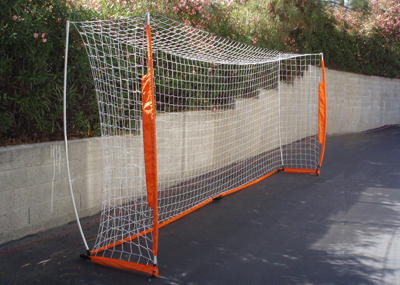 With a setup time of less than 3 minutes, this soccer goal is a breeze to setup and only one person is needed to do it. No tools are needed - the goal snaps together. 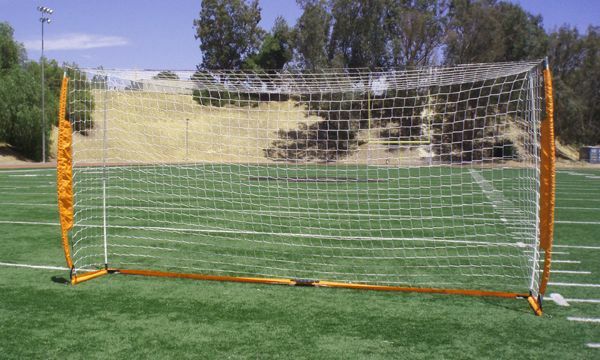 Like the other Bownet goals, this soccer goal is comprised of 12.7 mm fiberglass bow poles (hence the bow part) and powder-coated 25 mm diameter steel pipe. The netting is 100% poly UV-treated and is knot-less, meaning there are no knots. Brilliant! Additionally, each goal comes with stakes for you to secure the goal. As a bonus, this goal comes with a FREE roller bag. Set Up Time Only 165 Seconds! Stakes included Easy to secure the goal. Fast to Setup So you can get kicking sooner!